On 10 May 2012 the European Parliament approved the Declaration that creates the European Day of the Righteous, to be celebrated every 6 March. Strasbourg accepted Gariwo's call signed by thousands intellectuals, artists and citizens, concluding Wefor project. This is the last step of the path started with the creation of a place of digital memory to allow users to overtake national boundaries and geographical distances, to "travel" between different gardens and to visit, by a simple click, virtual and real places, discovering trees in Thessaloniki, Warsaw, Milan, Sofia, Yerevan and Sarajevo. Wefor enables users to talk with the Righteous, recalling Europe to its founding values for the construction of a common identity based on personal responsibility, respect of freedom, democracy, tolerance, human rights. Remembering the example of the Righteous contributes to the collective construction of a memory that shows the road to follow in order to prevent from repeating the mistakes of the past. For the fist time, on 6 March 2013 European citizens were united to remember those who risked their life to help persecuted people, bore witness to the truth and defended human dignity against totalitarianism. Milan, leader of the celebrations, paved the way to initiatives in different Italian and European cities: Warsaw, Prague, San Petersburg and Brussels hosted concerts, ceremonies, conferences and theatrical performances honouring the Righteous. 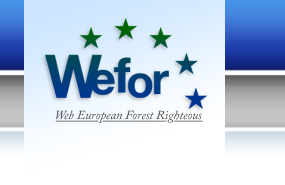 The Wefor (Web European Forest of the Righteous) project, realized by Gariwo and approved by EACEA in the program Active Citizenship in 2009-2010, has been chosen to represent the excellence of the projects financed by the European Community. Wefor recognises the bravery of those who fought against totalitarianism in the XIX century, defending human rights, tolerance, freedom and democracy, and wants to make young people actively aware of History through the memory of the experience of the figure of the Righteous. The project wants to create a digital place of memory, able to give the citizen of different countries biographies, sourches, interviews, audio and video material, documentation and reflections about exemplar figures and the historical, political and cultural context in which they acted and reacted. 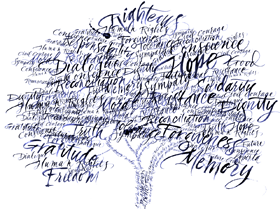 RIGHTEOUS GARDENS, where every tree of these gardens represent a Righteous and around it there are different tools that permit users to interact with chat, dedications, thought, reflections, warnings. SEEKING THE TRUTH, where you can find materials divided into different areas, about the Righteous and the political, historical and cultural contexts. YOUFOR, dedicated to teachers and students, gathers documents written by schools and educational kits created for different scholastic levels. Other ROOMS point out news and appointments (based on gariwo website), private and public insitutes, associations, museums, memorials that work on memory, multimedia productions and original documents.